I bet y'all know that I love all-things-maxis and maxi-skirts. I find them easy to style and versatile to wear and can be worn from spring-to-fall. I especially like that it is in a neutral color palette, hence making it functional with most colored tops/blouses in my wardrobe. Above are few times I have featured this skirt on the blog, but rest assured I have worn it at least 50 times in the last couple of years. 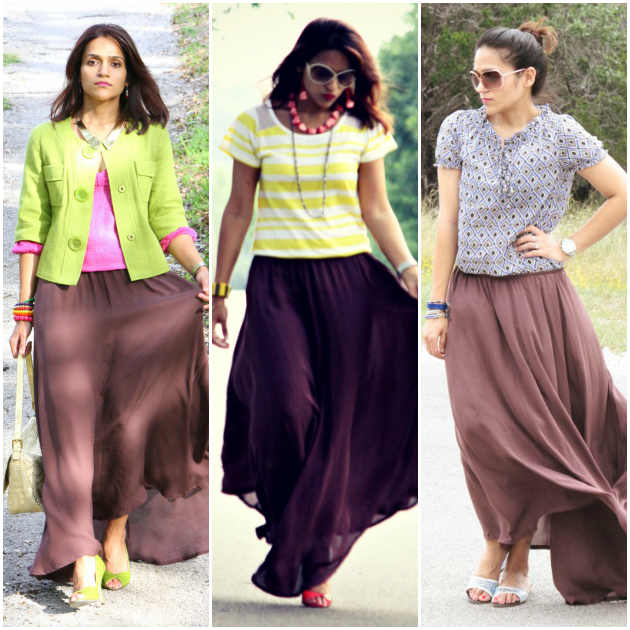 What are your thoughts on maxi skirts?